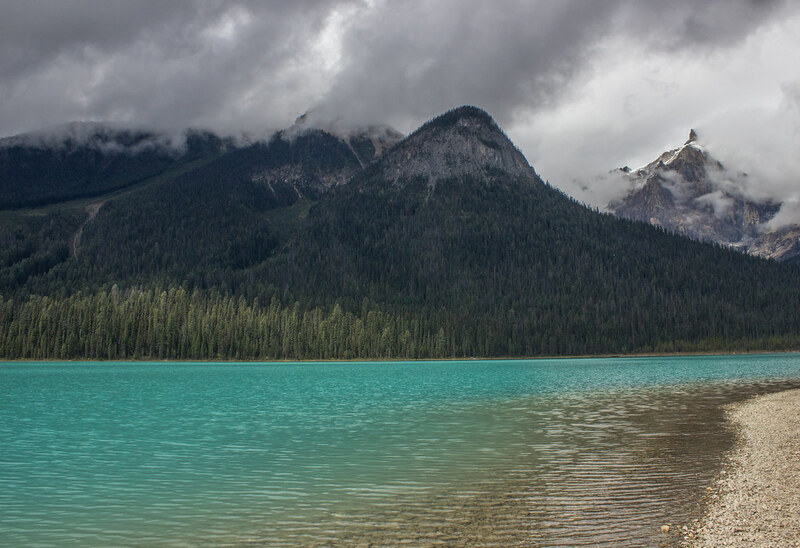 Emerald Lake in Yoho National Park was the first stop on our Canadian adventure and we were absolutely in awe of it. 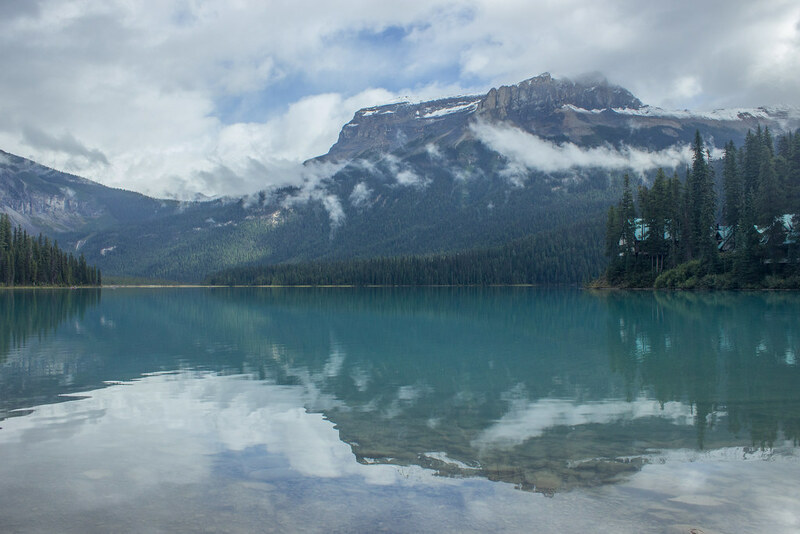 If you ever go to Alberta or British Columbia, Emerald Lake needs to be on your to visit list. 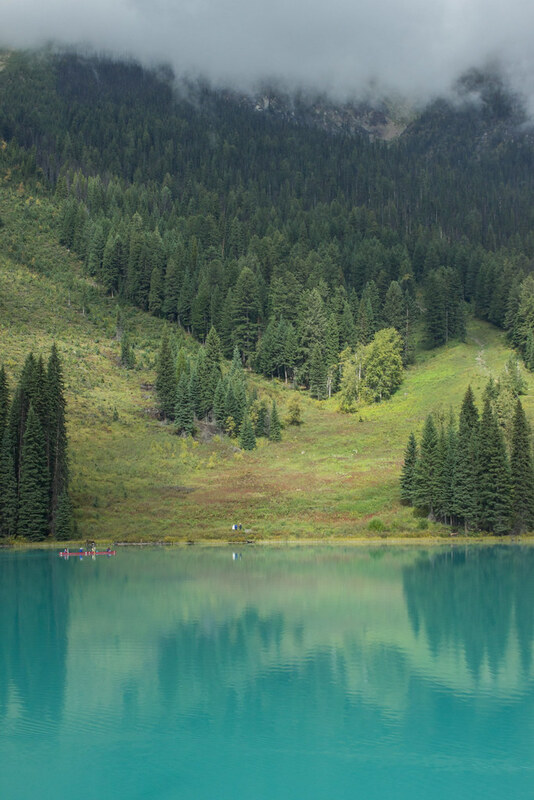 Photos of Emerald Lake must pop up on my Facebook feed at least once a week because friends have liked or tagged me in it when they’ve seen it on another page. I’m willing to bet that in the past few weeks, you’ve seen a photo of this lodge surrounded by snow, looking like a dreamy winter wonderland. 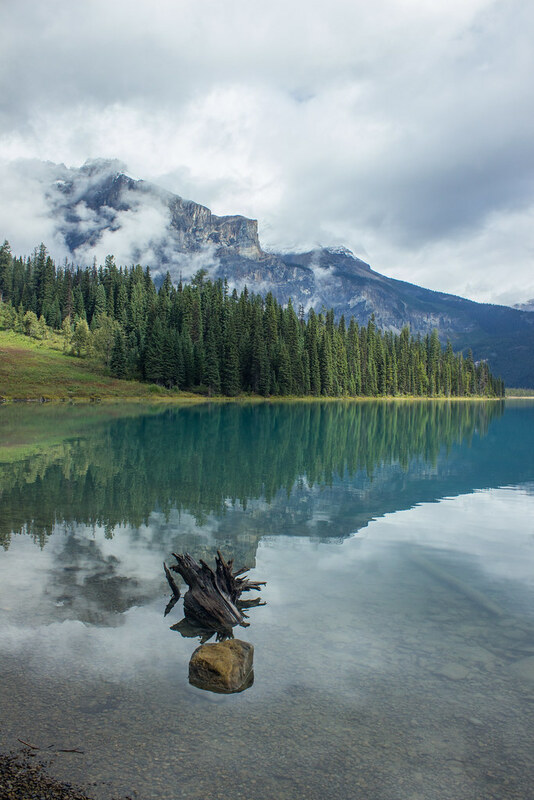 On a still day, this beautiful lake reflects the surrounding trees and mountains like a teal-tinted mirror. 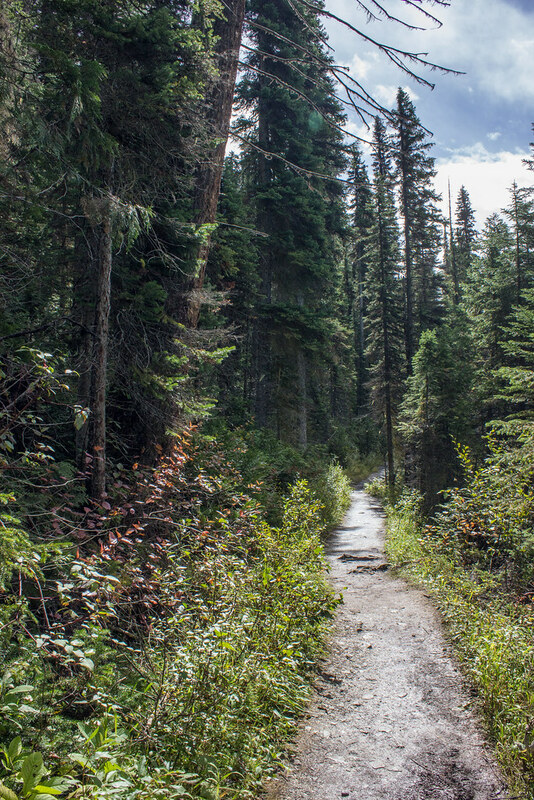 A trail allows you to walk all the way around the lake, and it splits off to other trails if you fancy being more adventurous. 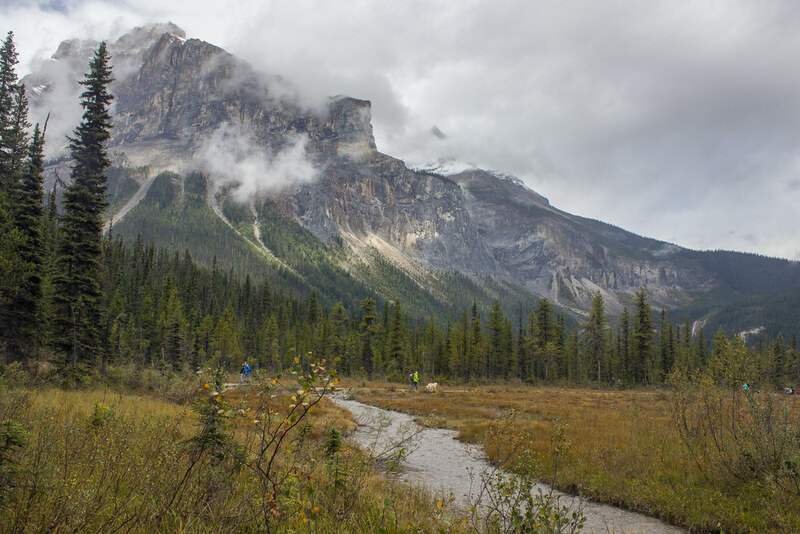 The trail is pretty flat so it’s easy for all the family, and you definitely don’t need to be superfit. The only thing you might want to do is consider wearing wellies because the last part was fairly muddy; we wore walking boots and were fine, but if it’s rained heavily recently, wellies might be a safer bet just in case. It probably took us about two hours to walk the trail, though I’m sure you could walk if faster, but I don’t think you’d want to rush this place. 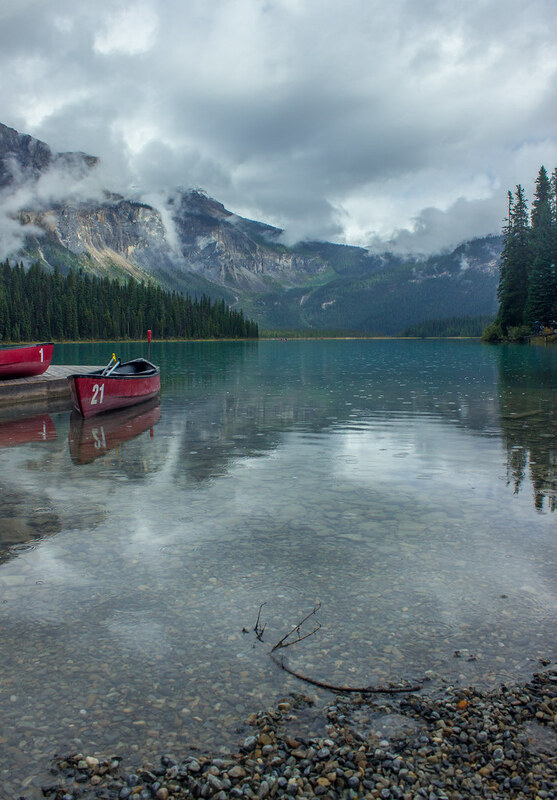 I’m convinced that there is no better way to explore a lake than by canoe; and luckily for you, there is canoe rental at the end of the lake. 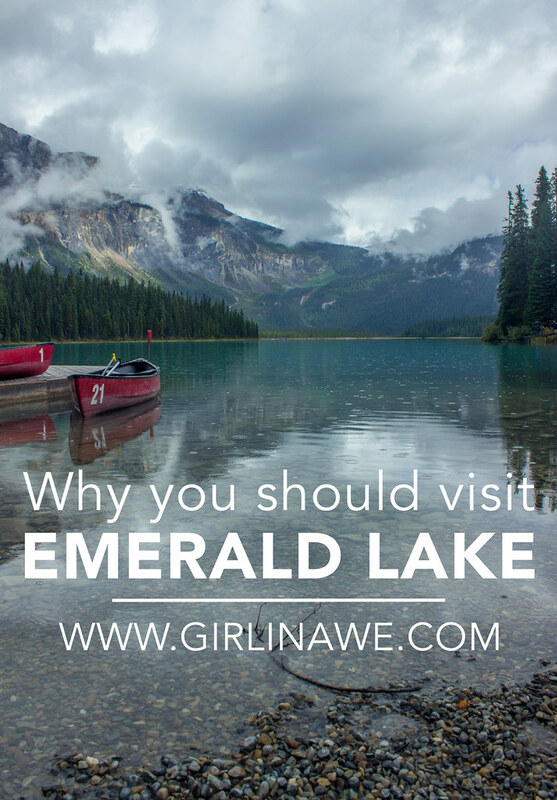 We didn’t actually canoe on Emerald Lake, but it’s on my list of things to do when we go back in the summer. Depending on where you’re stood, or the angle of the sun, the colour of the lake seems to change colour. 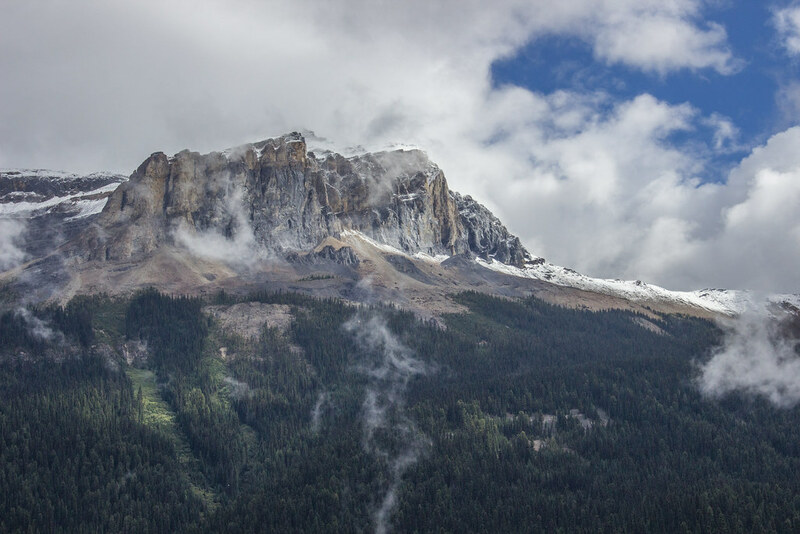 When you think about Canada, one of the first things you might think about is the Rockies. 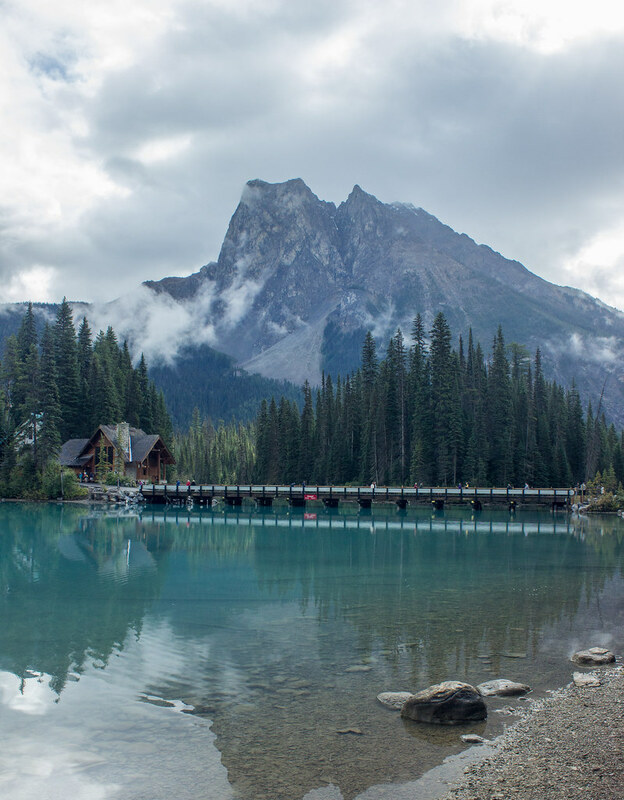 Emerald Lake is the perfect place spend some time in awe of the mountains. 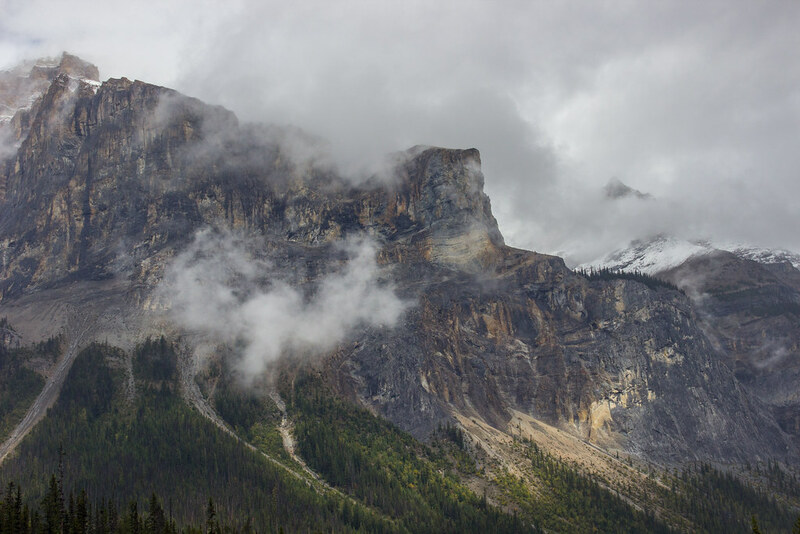 That said, you honestly don’t have to look vaguely hard to find mountains when you visit this part of the world. On one side of the lake, the trail through the edge of the forest. 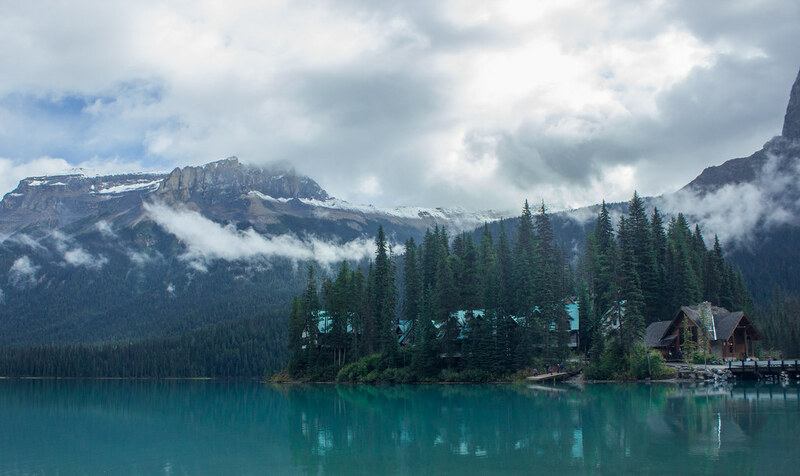 If you want to stay surrounded by Emerald Lake, you can stay in Emerald Lake Lodge.